If you’ve been following along on Instagram or Facebook, then you’ll have seen these little dipped legs unfold! Here’s a look behind the scenes at what that was all about! Audrey Would! 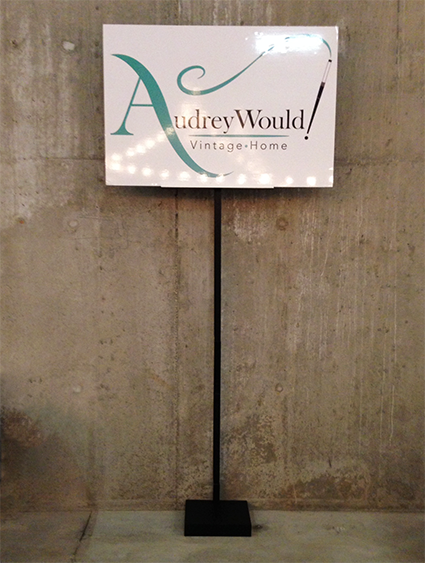 had a beautiful big sign made for her booth at the Vintage Expo in Victoria, but we had no sign stand and no time to get one! The sign was taped to the window behind our booth – it was up, but as you can see the location wasn’t great. By Saturday the sign had started sliding and almost fell down, so we ended up taking it down before any damage could be done! When my Dad heard about this, he was suddenly on a mission! 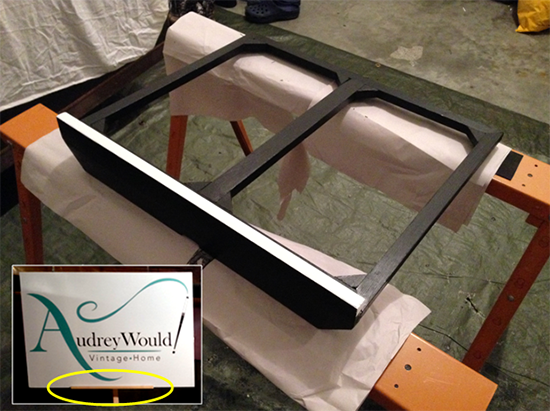 Yes, a custom sign stand, and a deluxe model I might add, was in the works! The stand had to be compact and portable. The base had to be weighted, and sit fully under the table. The height needed to be adjustable. 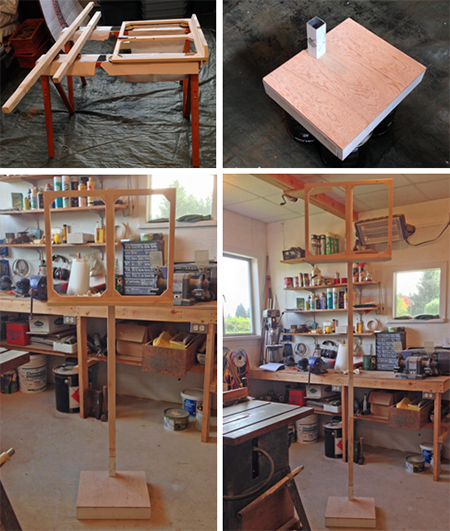 And of course, the stand had to be painted – that’s where the dipped legs came in! 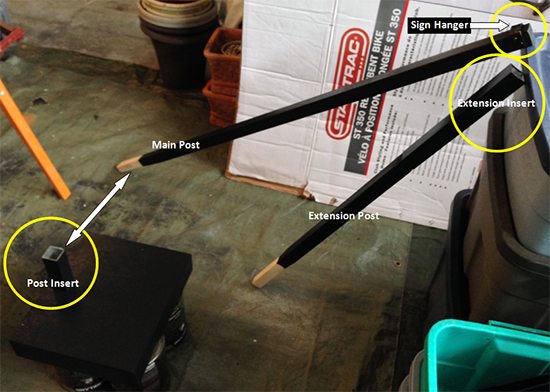 Where the wood was left unpainted is actually the section of the post that fits into the inserts. The easel section was a little trickier to paint. The ledge that holds the sign in place needed to be white so it would blend with the sign, but the bottom of it had to be black. This is where painters tape came in handy! You can see in the photo insert how silly a black strip would have looked! 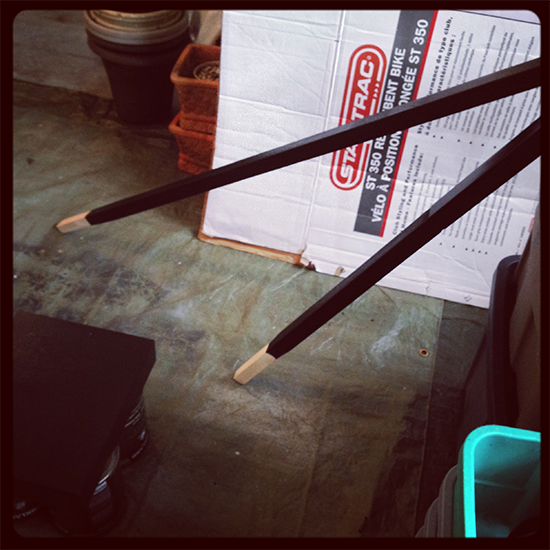 I have to say, the engineering behind our custom stand is of patent quality! We had a chance to test drive the extension this past weekend at the Urban Market in Abbotsford, and it worked perfectly. 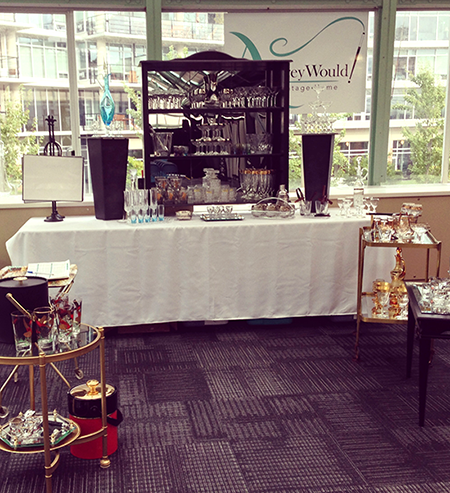 First, without the stand in our Victoria booth, and then with it in Abbotsford. Much better, don’t you think? And here’s a look at the stand all on its own. Can you see the white ledge holding the sign in? Imagine if that was black!! Great idea! I’m sure he could be selling them to all the other vendors! It looks beautiful, I love your logo, by the way. Ah perfect! Much better. 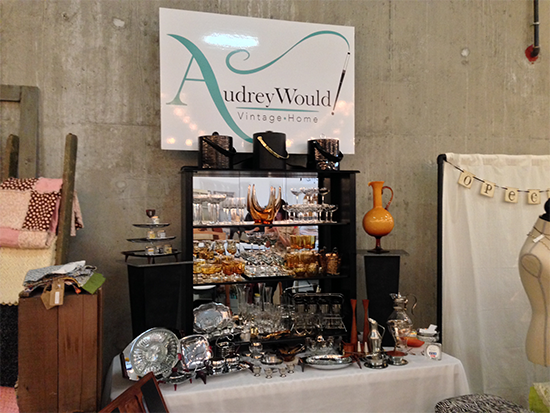 I totally wish I was able to come out to Abbotsford last weekend but hope to see you and Audrey sooner than later. So happy for you!!!!! How did it go? So great to have a dad that’s eager to help out! 🙂 Looks great! I hope all the shows were a success for you! Previous PostPrevious Rosemary & Balsamic Roasted Veggies – Westernliving Style! Next PostNext A Vintage Carafe’s Holiday Dress Rehearsal!